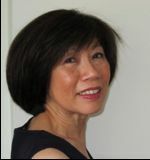 Born in Kuala Lumpur, Chan Ling Yap was educated in Malaysia and the UK and has a PhD in Economics. She lectured at the University of Malaya before joining the United Nations Food and Agriculture Organization in Rome, where she worked for nineteen years. Her last post was as senior rice commodity specialist and Secretary to the Intergovernmental Group on Rice. On returning to the UK with her family, she trained as a fitness instructor and developed and taught her own exercise regime – a combination of eastern and western disciplines. Her book, Fusion Fitness, was published by A & C Black in 2002 and by Hunter House (USA) in March 2003. Chan Ling has always loved writing. While at the University of Malaya, she wrote two economic textbooks in Malay and published many papers on small-scale fisheries development. In FAO, she was responsible for reports and policy papers on rice and contributed to the Financial Times in the UK. After Fusion Fitness, she wrote a novel, Sweet Offerings, which has been highly praised for its evocation of Asia. Bitter-Sweet Harvest is her second novel. Her third novel, New Beginnings, was released in 2014 and won the Popular Readers’ Choice Award for the year. A Flash of Water, her fourth novel, was released in Asia in November 2015 and elsewhere in early 2016. The four novels form a quartet, which traces the lives of one family against the turbulent political, economic and social changes in China and Malaya. Each, however, stands on its own. Where the Sunrise is Red, is Chan Ling’s fifth novel.